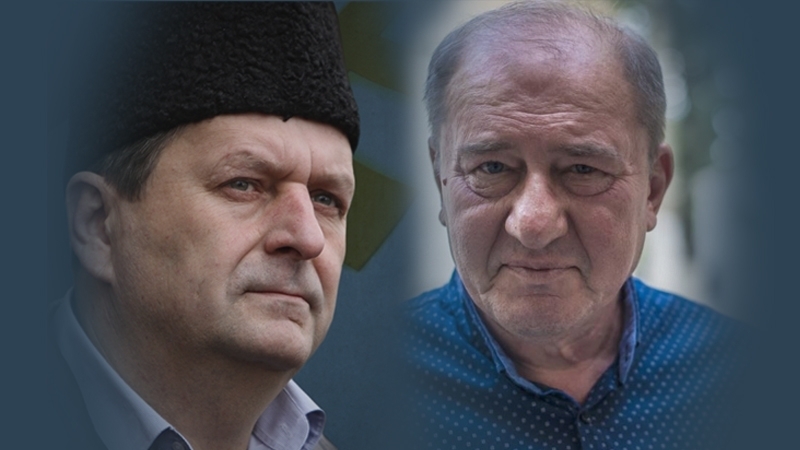 Deputy Chairmen of the Mejlis of the Crimean Tatar people Akhtem Chiygoz and Ilmi Umerov, convicted in the occupied Crimea, were extradited to Turkey, the leader of the Crimean Tatar people Mustafa Dzhemilev said in a comment to QHA correspondent. He noted that Chiygoz and Umerov were first brought to Simferopol, and then sent to Anapa by plane. The plane with representatives of Mejlis flew to Ankara at 13:37 local time. Dzhemilev went on saying that this exchange became possible due to the agreements that were reached within the framework of the negotiations between Turkey and Russia. President of Ukraine Petro Poroshenko called the case of Chiygoz "another verdict of Russia, which the United Nations recognized as an occupier." The Ministry of Foreign Affairs of Ukraine expressed a strong protest in connection with the conviction of Chiygoz, and the speaker of the Ukrainian Foreign Ministry Mariana Betsa noted that "the struggle for Chiygoz" will continue. The Monitoring Group for the Rights of National Minorities noted that the verdict against Chiygoz was a special, indicative and at the same time a vivid illustration of the legal nihilism and cynicism of the occupation authorities. After 150 meetings, on August 1, the occupying judges completed the investigation into the case of Ahtem Chiygoz. On August 9, in his last word in the "court", Chiygoz stated that he would accept the verdict for the entire Crimean Tatar people. The Deputy Head of the Mejlis of the Crimean Tatar people was detained in January 2015 for participating in a rally in support of the territorial integrity of Ukraine in front of the building of the Verkhovna Rada of the Crimea on February 26, 2014. At that time, the protesters were opposed by pro-Russian activists, including the "Russian Unity" party. The Russian authorities of the annexed Crimea accuse Chiygoz of organizing riots. September 27, the Simferopol district "court" sentenced the Deputy Chairman of the Mejlis of the Crimean Tatar people Ilmi Umerov. The occupying court found him guilty of separatism under article 280.1 of the Criminal Code of the Russian Federation (Public calls for actions aimed at violating the territorial integrity of the Russian Federation) and sentenced him to 2 years in a colony-settlement and 2 years of a ban on public activities.